Her eponymous heroine Sammy Joyce works as a health-care policy advisor in Washington, D.C., for an ambitious and successful senator turned vice-president. Sammy’s high stress job has only amplified her personality quirks; she is often a neurotic, paranoid, and sensitive mess (in House, after having her nerves fried due to a night full of barely diverted disasters, Sammy hears fireworks erupt at a presidential party on a fancy yacht, pushes the President out of the way, and immediately leaps into the Potomac River, positive that she is in the midst of an assassination). But along with the craziness, she’s also intelligent, cheerful, and entertaining. Her compassion for telemarketers, love of kooky holidays, and self-induced panic attacks add to her eccentricities, but Gore skillfully develops Sammy’s character to the point that you just have to laugh because you can definitely relate in some way. While her job occasionally dominates her life, another major focus of Sammy’s story is her romantic hits and misses; these men include a journalist with questionable allegiances, an arrogant movie star looking for an in to a political career, and a handsome but aloof reporter that she keeps running into (literally – yes, there is definitely some slapstick here right along with the clever and witty jokes). The development of Sammy’s love life throughout the two novels is natural and believable while still including some pretty genuine laughs of empathy. She succeeds in being neutral, and the reader still gets a fascinating, insider peek into what it’s like to be a part of such an intense, exhilarating world. Overall, Gore does a fantastic job of capturing the excitement and intrigue of working in DC without the minutiae or slower aspects of a political campaign, and the character development is top notch. In fact, by the end of the book Sammy kind of seems like an old friend. Both novels are very well-balanced, clever, lively, and simply FUN reads. 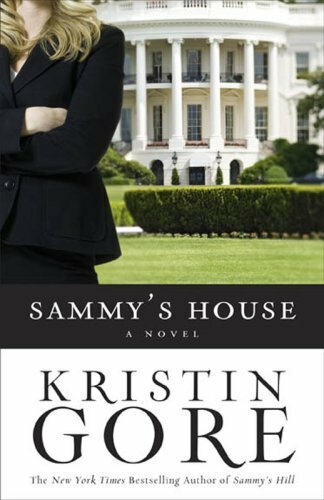 I hope Kristin Gore might someday consider a third novel: I’d go back to revisit Sammy and her life any day.